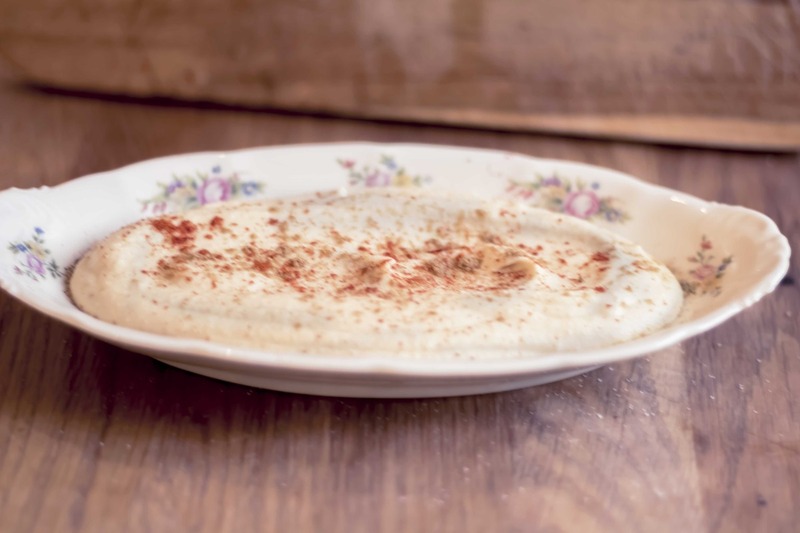 Here's the thing about making hummus - you need to start with dried chick peas. The canned ones just won't do it at all, and you need the cooking water. 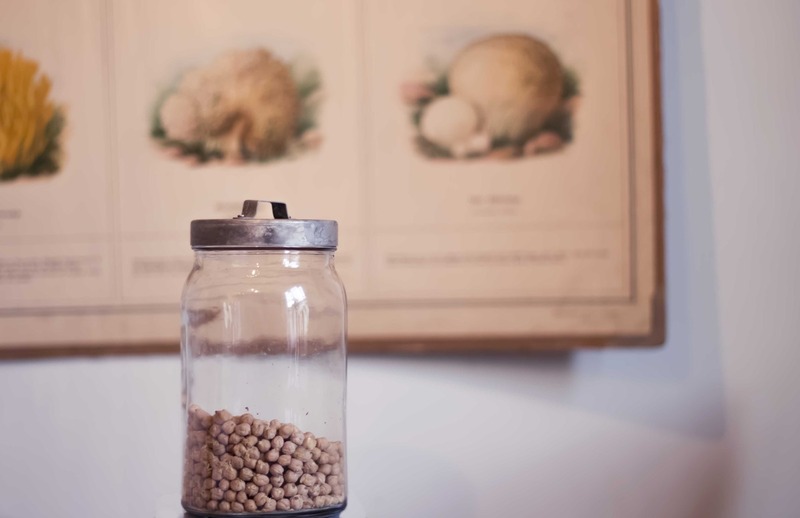 So, starting the night before, take your chickpeas, rinse them and put them in water. Add about a small tablespoon of baking soda to the water (this will make the peel fall off). Then go to bed and forget all about it. In the morning, the chickpeas will have kind of doubled in volume. Give them a rinse again and change the water their soaking in, to let them soak an hour or so in fresh water. Then rinse again (I know, a lot of rinsing!) and add them to a big pot to cook. Cook for about an hour, or until the chickpeas sort of fall apart if you press them softly. During the cooking, skim the surface with one of those frying ladles with a flat surface and a bunch of holes in, know which one I mean? The white froth is something you don't want, and all the empty peels is also good to get rid of. 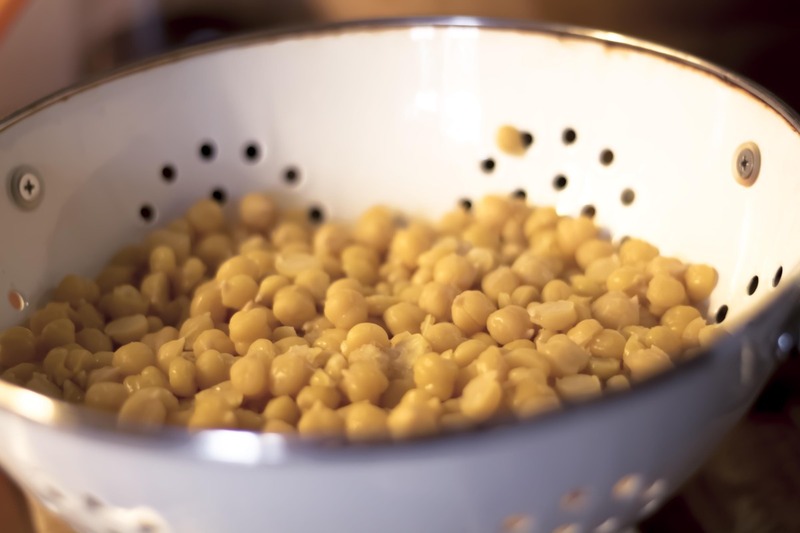 Once cooked, drain the chickpeas while keeping the cooking water. Put the chickpeas in your food processor, and mash. Let them cool down as you collect the other ingredients. 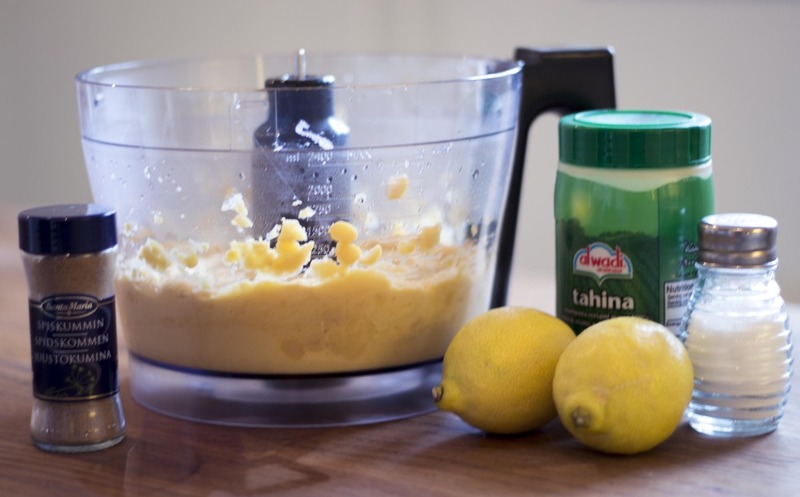 Now pour in about 1.25 dl of cooking water, same amount of Tahina, the juice of two lemons, two garlic cloves, a tablespoon of cumin (which in Swedish in not kummin but Spiskummin, weirdly enough) and a teaspoon of salt. Start the food processor again and mix it all up. The consistency should be way more runny than desired, since it will bind together more once cooled, so if it's not runny enough, just add more of the cooking water. Taste and maybe add some more cumin and salt, and then serve it with olive oil and lemon drizzled over, and powdered with paprika powder and cumin. Finger licking good, and absolutely smooth! It lasts several days in the fridge, though I can't say for sure how many since we always run out before it goes off, but maybe five? And now that there is hummus in the house again, order is restored. Jonathan got feeling and took the opportunity to make cookies, and now it feels like home again. I hope you'll try this, it really is so good, and close to impossible to get wrong, and healthier than the stuff you buy at the store too, as a little bonus. If you do, let me know how you like it!